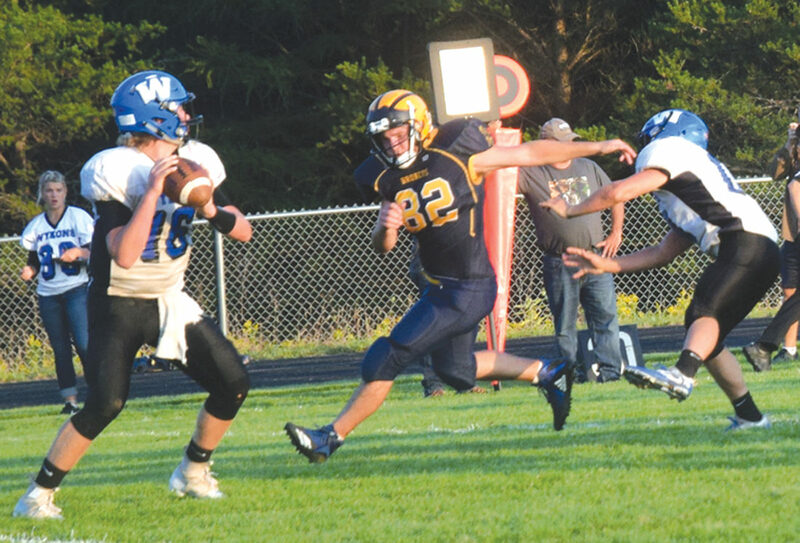 HARRIS — Big plays made the difference in West iron County’s 28-7 victory over at Bark River-Harris here Friday night. The Wykons’ key difference maker was senior defensive back and receiver Caden Pellizzer, with two touchdown receptions and two interceptions. Pellizzer teamed up with Wykon junior quarterback Trey Bociek for a touchdown pass play of 78 yards five minutes into the game for a 7-0 lead. The tandem struck again in the second quarter on an eight yard pass in the corner of the end zone to put the Wykons (2-0) up 14-0 with 7:56 left in the half. Pellizzer caught four passes for 145 yards on offense to pace the 350 yards of total offense for the winners. And his defense also shut down two Broncos scoring drives with interceptions, one in the end zone to squelch BR-H’s final scoring threat in the second half. Bociek was on target from the outset and finished the game hitting seven of 10 passes for 260 yards and three TDs. “We came out and played some football right from the start,” said West Iron coach Mike Berutti. BR-H (0-2) put together three solid scoring drives, and closed within 14-7 with 4:35 left in the first half. 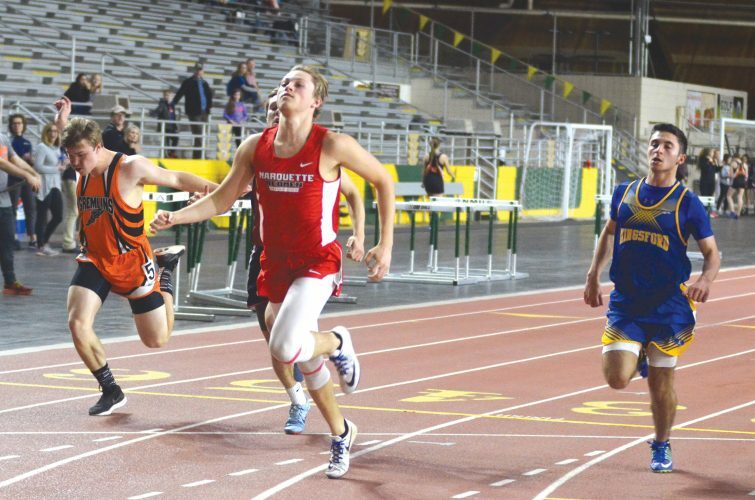 Senior running back Eric Viau scored on a nine-yard run to cap a nine-play, 55-yard drive that was engineered by sophomore quarterback Nick Javurek. Javurek was 4-5 passing on the drive, completing roll-out passes in the flat, and Viau had two first down runs in the drive before his scoring play. Overall, Javurek was 12-19 for 81 yards and two interceptions. Viau led the BR-H running attack with 86 yards on 13 attempts and running back Colton Brunette contributed 81 yards on 14 carries. The Wykons went ahead 21-7 on a Bociek 13 yard pass to 285-pound senior fullback Bryant Schram. The Broncos had another drive late in the half but it ended with a Willy Schmitt field goal attempt going wide from 31 yard out on the final play of the first half. West Iron scored its last touchdown in the third quarter on a seven yard run by Zach Quintero. Berutti was pleased with the Wykon offense but praised his defense for the win as well.